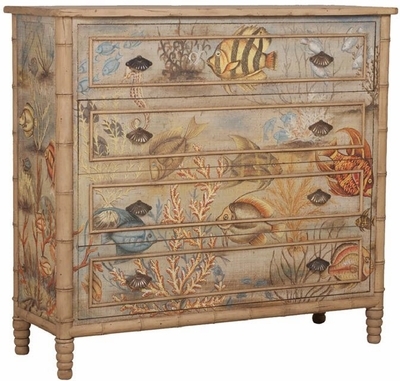 ISLAND COTTAGE CHEST - Artisan Stain finish on four drawer chest with fabric applique. 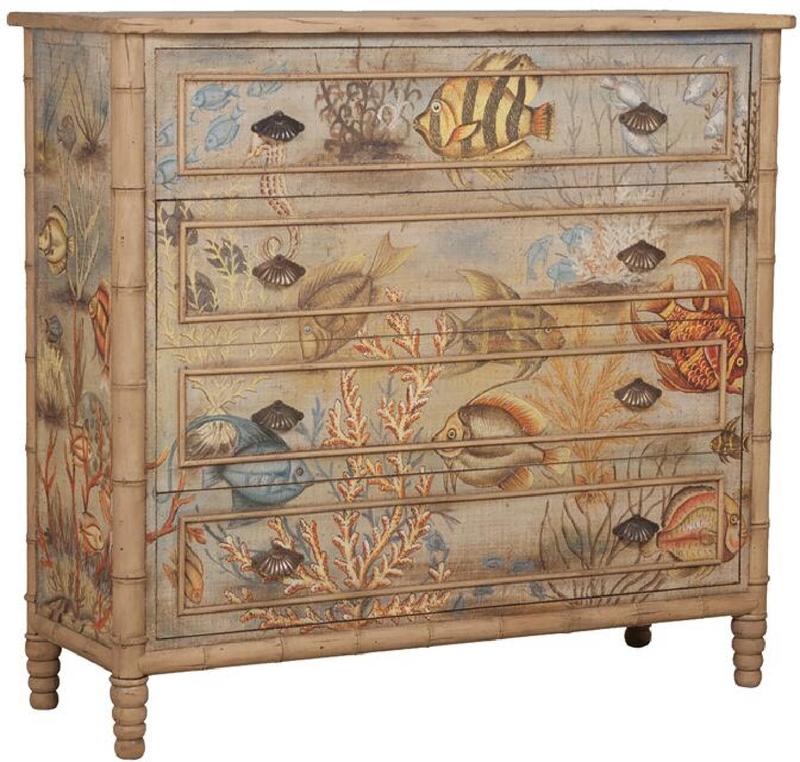 Fabric is hand-painted with Bali island tropical motif. H 48" x W 52" x Depth 18"